Senior caregivers can find it quite challenging to keep the elderly well-nourished, especially if the senior has problems with chewing and swallowing. A steady diet of baby food-like mush can make seniors dread their next meal. Dealing with the challenges of feeding those seniors can lead to caregiver stress. So, the European Union is funding a consortium of five European countries along with 14 companies called PERFORMANCE (which stands for PERsonalised FOod using Rapid MAnufacturing for the Nutrition of elderly ConsumErs), to help develop 3D-printed “smoothfood” to create a more appetizing-looking meal. 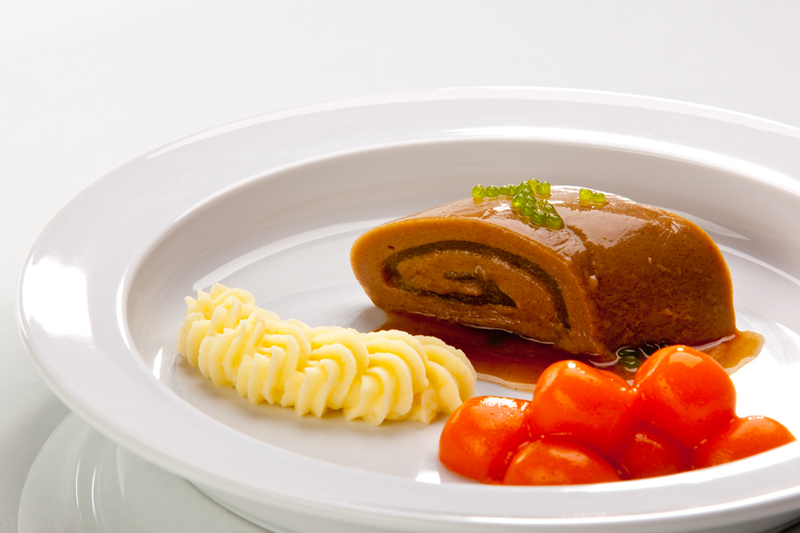 German company Biozoon created Smoothfood, in which deconstructed foods that are safe to ingest without chewing are reconstructed to look like conventional meals by using plant-based solidifying agents and poured into food-shaped silicon molds. While the food retains its shape on the plate, it completely dissolves in the mouth, making it safe for those with chewing and swallowing impairments. Dysphagia, or difficulty swallowing food, affects as many as 15 million Americans and according to the Agency for Health Care Policy and Research (AHCPR), over 60,000 Americans die from complications associated with swallowing dysfunctions each year. Many times, victims of stroke find themselves unable to chew and swallow regular food.Currently, those seniors have no choice but to eat a variety of pureed foods, much like baby food. Needless to say, a constant diet of unappealing and uninteresting food has been shown to cause a loss of appetite and lead to malnutrition. Nursing homes and assisted living facilities are already overtaxed and overburdened with senior care, so the objective of the PERFORMANCE project is to utilize new processing approaches and tailor-made technologies for the use by small and medium sized (SME) food producers to produce personalised food for the frail elderly European consumer, thereby improving the quality of life. Over 1,000 retirement homes in Germany have already implemented the smoothfood concept according to Wired UK. The PERFORMANCE project is hoping to take that idea and, by applying automated 3D printing technology, make it easier and more affordable to use on a broader scale by nursing homes and assisted living facilities. Living with rheumatoid arthritis means daily aches and pain. Senior caregivers can help their senior clients track their daily experiences with rheumatoid arthritis to recognize trends and share the information with the senior clients' physician. Tracking in the app falls into several different categories. The "Big Picture" section enables users to enter how they feel overall on any given day on a scale of 1- Very Good to 5- Very Bad. This area also contains a spot for a photograph if a senior caregiver feels there's something that needs to be included visually. The "Joint Pain" area displays a cartoon diagram of a person with small circles around the joints. 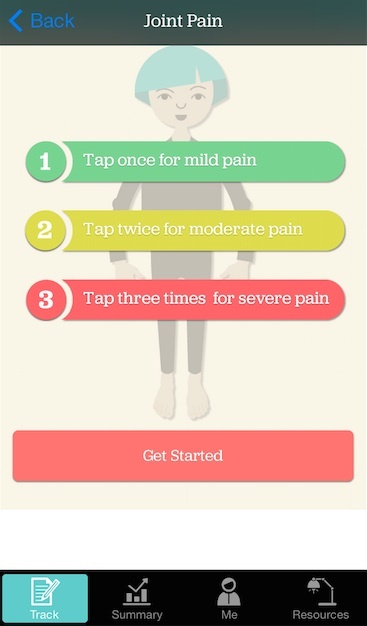 Seniors can tap where they feel pain and indicate the intensity by tapping only once for green, light pain, twice for yellow, moderate pain or three times for red, intense pain. The "Morning Stiffness" section asks a simple question- "How long did your morning stiffness last?" Other sections track daily fatigue, functionality and medications. The summary area shows data for the past 30 or 90 days of tracking, so the more often caregivers record data, the easier it becomes to find trends. The app has a reminder section where caregivers can ask for their phone to notify them to make entries at the same time every day. The resources section also provides more information on rheumatoid arthritis and organizations devoted to it. The MyRA app is available for free for Apple platforms. Memorial Day has passed and here in the Midwest, it’s finally beginning to feel like summer is around the corner. When that heat hits (and you know it will), the last place I’ll want to be in August is the sweltering city. That means it’s time to make some vacation plans. “Family Vacation” was once used to mean nuclear family, or parents and their children. But that’s changing. I’m an active member of the Sandwich Generation — I take care of both my children and a parent. I am not alone. According to AARP, 66 million Americans between the ages of 40-65 find themselves caring for multi-generation family members. Those responsibilities don’t end when I get a little down-time. Just as I would need to make arrangements for my childrens’ care if I vacationed without them, I must also arrange for my mother’s senior care in my absence. And while I guess I could make other arrangements, I also believe that my elderly mother would also like a change of scenery and an excursion to look forward to. I also know that at 84, she can’t travel as she did at 64, so I have to approach this vacation a little differently. Tips for traveling with seniors are all over the internet. It’s one of the fastest growing segments of the travel industry. If you are a family caregiver considering multigenerational travel, here are some tips I’ve gotten. Check with the doctor and discuss activity comfort levels. Clearance from the family doctor is important. Are there any vaccinations needed? Are medications up to date? Set the level of activity to a safe one. If mom can’t climb to the edge of an inactive volcano, she shouldn’t. But if she can, why not do it? Rome wasn’t built in a day, nor will you see it in one. I tend to push myself, and I remember the frustration of having to take a break every four hours for baby naps when the kids were young. The same time frame can hold true for seniors. Don’t overschedule and take frequent breaks. It’s very tempting to make grandma and grandpa the free babysitting service for nights on the town, but it should be everyone’s vacation. Enjoy the time together better by allowing for some time apart. Alone. That means seniors as well. If they’ve been leading a quiet life (I think I remember what that’s like), constant commotion of kids can be unnerving. But certainly take grandparents up on the offer and take advantage of a community of responsible adults. Sometimes, you should just leave the planning to someone else. Cruise ships offer activities and entertainment suitable for all ages. Even Club Med, once the bastion of swingerdom, is getting in on the action by offering special deals and incentives catering to multigenerational family travelers. I’m not sure if I’m crazy for giving this a go, but there’s no doubt we will all come away from this adventure with very special memories. Caregivers employed with senior care companies know the realities of caregiver stress. 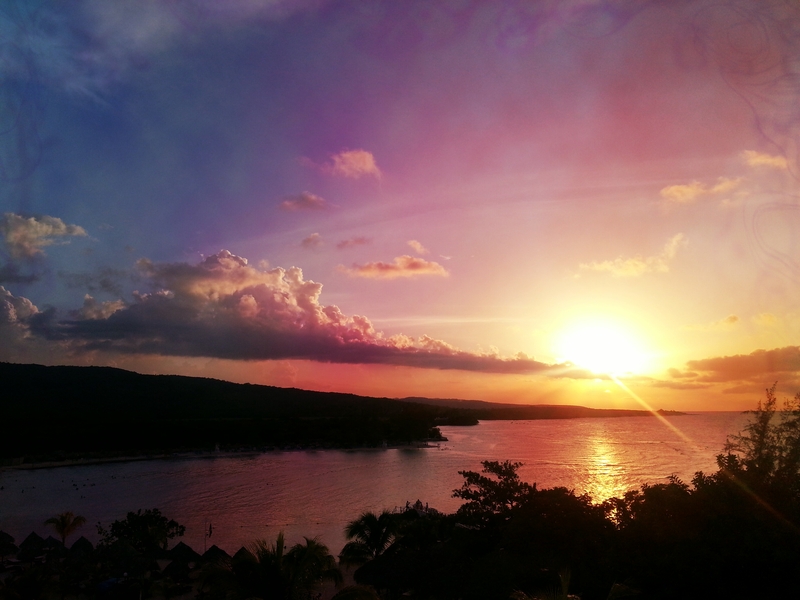 Caregiverlist invites all family caregivers and professional caregivers to take a moment for relaxation with our photo of the week and inspirational quote. I hope you are all enjoying a pleasant holiday weekend. 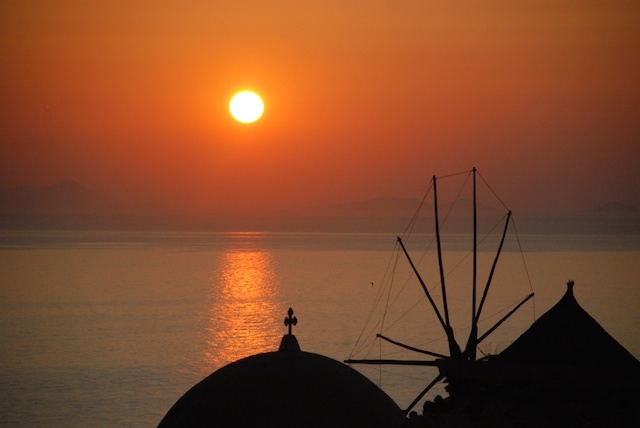 For this week's photo we go back to Santorini, in Greece. Feel free to share this photo with your loved ones. Thank you caregivers and certified nursing aides for caring for our seniors and please refer your friends to apply for part-time and full-time job positions on Caregiverlist.com and visit our career center for additional career tools. Have a great week. Memorial Day weekend is typically filled with picnics, barbecues, and other events that signify the beginning of summer. But truly it is a day to remember those who died and honor those who remain, regardless of the wars in which they fought. Frank Woodruff Buckles, Pershing’s Last Patriot, was the last surviving American veteran of World World I when he died in February, 2011. He was 110 years old. *the statistics don’t yet include numbers from the ongoing Global War on Terror (Oct 2001). We are now standing witness to the passing of “the Greatest Generation,” those men and women who fought in World War II. In fact, they are the parents of the largest generation, the Baby Boomer Generation, spawned when those soldiers returned stateside and prospered. Those children are now planning for their own retirement and reviewing their own senior care options. An enlisted man (or woman) 20-years-old in 1945, the last year of the Second World War, will turn 90 years old next year. Many are already in their nineties. Out of the 16 million who served their country during WWII, just over 1.7 million U.S. service members are alive today. According to the Veteran’s Administration, by 2036, it is estimated there will be no living veterans of World War II left to recount their experiences. I heard about Honor Flight Network on NPR last week and was impressed by the group's committed to making sure the remaining WWII veterans get to Washington D.C. to see the memorials built in their honor at no cost. If you are providing senior care to a WWII vet who would like to travel to Washington DC, time is of the essence, so be sure to contact Honor Flight Network. According to their website, subsequent to the World War II veterans, their efforts will then focus on our Korean War and then Vietnam War veterans, honoring them similarly. Contact your local hub for applications. Caregiverlist® would like to take this space and remember all veterans. If you know of anyone who may be considering a career as a senior caregiver or who would like to just assist others, especially those who served in World War II, refer them to a senior caregiving job. IMPORTANT NOTE From Honor Flight Network: Honorflight.com and Honorflights.com are NOT associated with Honor Flight Network. (honorflight.org). The aforementioned sites and any other sites of companies that charge any fee to veterans are not affiliated in any way to Honor Flight Network. The flights and tours that Honor Flight Network provides World War II and terminally ill veterans are absolutely FREE. For senior caregivers and their senior clients, eating healthy may not be as easy as it seems. The Garden Plate app offers healthy recipes in several different categories, such as salads, snacks and desserts, to help users eat well. Seniors may be on particular diet restrictions such as gluten free, low sodium or low fat as orders from their doctors to help them continue to age well. Senior caregivers may not be familiar with many recipes to go along with these diets. 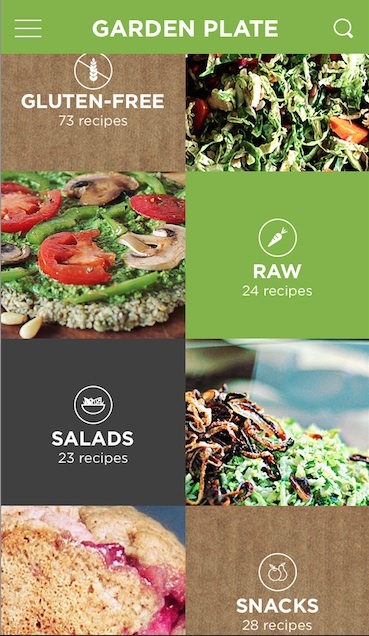 The Garden Plate app has you covered- recipes range from categories vegan, gluten free and raw to cover dietary restrictions, and then general recipes for breakfast, lunch, dinner and snacks. With over 20 recipes in each category, there's something for everyone. The recipes themselves display prep time and cooking time at the top so caregivers know exactly how long it will take to make. It also shows how many servings the dish makes. If it shows 4-6 servings and you're only making food for two people, try halving the ingredients or freezing half of the final product for a quick reheated meal later. Another feature lets users add recipes to their in-app shopping list, so that you can make sure you buy what you need for a great, healthy meal. The Garden Plate is available for free for Apple and Android platforms. Oh, and the moniker "Super-Lawyer" is real. 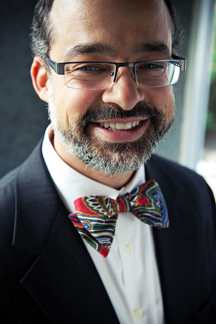 Mr. Neiburger was named a “Super Lawyer” in Elder Law by Thompson Reuters and the publishers of Chicago magazine. Only three other attorneys in the state of Illinois were recognized this way in 2013. He also received this honor in 2007 and 2009 through 2014. 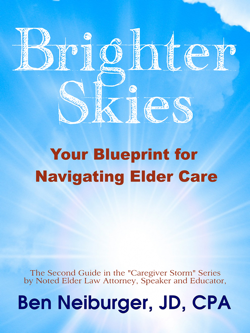 For Caregiverlist readers only, Ben is offering letting us give away his new ebook Brighter Skies: Your Blueprint to Navigating Elder Care. It’s a simple to understand guide that was written to make the process of Elder Care more bearable and less stressful for families. Follow these tips and you will spare yourself and your loved ones unnecessary pain in both the long and short terms. Having practiced elder law for as long as I have, I've observed a number of issues that recur for families trying to negotiate the complex matters that come to the fore when assisting loved ones in the final stages of their life. To that end, I’ve identified 10 principles that you need to pay attention to. Using these principles as a guide, you can develop strategies to help you and your family negotiate this very complex and emotional time. Tip one – Put no one else before you and your family. You have a moral obligation to care for your parents, spouse and children. To do so well, you need to be informed, plan ahead, and take care of yourself first; the earlier the better. Tip two – Let others help you. Find a trusted team of experts to help you through the health, legal and financial issues of end- of-life healthcare and planning. Geriatricians, care managers, elder law attorneys, accountants and financial planners are key advisors during this time. Tip three – Act only with legal authority. There will come a time when you must make health-care and financial decisions for your elder when they cannot make decisions for themselves. Protect your loved one’s dignity and privacy by having them sign powers of attorney for property and health care before it’s too late. Tip four – Rest. You are only human. Sometimes, the caregiving process requires an incredible amount of time, effort, blood, sweat, and tears. 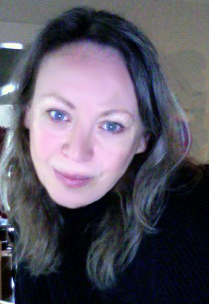 Even the strongest of us only last a matter of weeks or months before the stress of caregiving overwhelms our human capacity to provide that care. Hire caregivers, seek respite care, or let other family members, friends, or social agencies assist in providing care. You need rest and time to work and enjoy your own life, spouse and children. And only in doing so, will you be able to provide the best care for your loved one(s). Tip five – Honor your loved one and preserve their independence as long as medically advisable. No one really wants to live in a nursing home. Most people want to live a dignified and independent life in their own home as long as possible. If it can be done safely, try to enable your loved one to live at home or in a non-nursing home community setting. If you want to support your parent in his or her home, but require additional funds for caregivers, reverse mortgages (including private family mortgages) can be a viable option. Tip six –Make a financial plan. Assisted living and long-term care can be quite expensive. You need to take steps to ensure that your loved one’s funds last as long as possible. The longer his or her funds last, the more care options there are and the more independence they can have. Encourage your loved one to create a financial plan (including long-term care insurance, if possible) to generate enough income to cover long-term care at home, in an assisted living facility, or a nursing home when the time comes. Such a plan should be set up sooner than later. Tip seven – Respect your loved one’s end-of-life wishes. As the last chapter of somebody’s life begins to close, the only thing many people have left is their family and personal dignity. It is your job as caregiver to do all you can to honor that dignity, as well as the wishes that preserve it. There will come a time when your loved one cannot tell you what they want. Take time to have a discussion with them beforehand on issues such as life-sustaining medical treatment and hospice, last rites, and their final resting place. Communicate these wishes to the entire family to ensure that such plans will be honored without familial strife when the time comes. Tip eight – You can’t always control a progressive disease or sudden illness. There are some health conditions that improve with, and respond to treatment. There are others that do not, no matter what you do. Understand the condition or ailment that your loved one has, and do not expect miracles to occur as a result of treatment. Manage from that point forward. Many times, people do not recover from dementia, Alzheimer’s disease, or major strokes. Tip nine – A nursing home placement isn't a death sentence. No one wants to go to a nursing home for their twilight years. Thirty or 40 years ago, families cared for loved ones at home until they died. Back then, people typically didn’t last longer than a few months, but with advances in medicine, the elderly now live on for years. Families need to rethink their objections to nursing homes because of the increase in end-of- life lifespans. Tip ten – Try to mitigate family conflict. Family conflict at the end of a parent’s life is sometimes inevitable. However, an often unspoken wish for any person in the twilight of their life is the hope their children will get along after they pass on. A third-party is sometimes needed to assist in the decision making process. Sometimes transparency and disclosure will help. Other times, with a little more guidance and understanding, the children can make it through the process and keep their focus on ensuring their parents maintain their dignity as well as crucial family harmony. I’ve create a series of short videos to further flush out these concepts. The goal is simple. Help you and your family make the best of a tough situation. ember of the National Academy of Elder Law Attorneys (NAELA) and a member of the Executive Committee and Board of Directors for the Illinois Institute of Continuing Legal Education and through frequent speaking engagements and ongoing course work both locally and nationally, is in continuous pursuit of knowledge and insight to the laws and finances that affect our families and senior citizens. He brings this wealth of knowledge, his clear and common sense explanations, his patience, gentle humor and sensitivity to each of his legal consultations.To read more on each of these ten principles, go to generationlaw.com. Caregiverlist's® Nursing Home Star-Ratings take the top criteria from the government inspection reports to help you choose the right and best nursing home for you or your loved one, if you should need one. Caregivers employed with senior care companies know the realities of caregiver stress. Caregiverlist invites all family caregivers and professional caregivers to take a moment for relaxation with our photo of the week and inspirational quote. 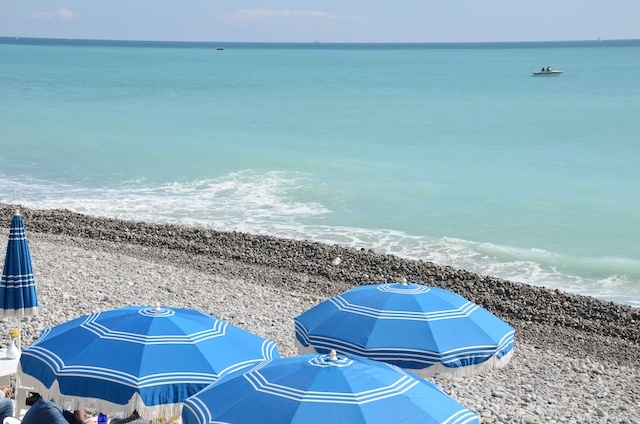 For this week's photo we travel to Nice, in the south of France. Who doesn't like to think of the beach as a relaxing place? Feel free to share this photo with your loved ones. Thank you caregivers and certified nursing aides for caring for our seniors and please refer your friends to apply for part-time and full-time job positions on Caregiverlist.com and visit our career center for additional career tools. Have a great week. Senior Housing Building Boom: Too Much Too Soon? I am part of a very substantial population of the United States known as Baby Boomers. According to the U.S. Census Bureau, 76.4 million American children were born post-World War II, between the years 1945 and 1964, making up almost 40% of the American population. As much as we would love to age in place, the fact is that if we see 80+ years old, we will need some sort of help with Activities of Daily Living, and the cold, hard truth is that a lot of us will receive that help in some sort of assisted living community. It’s no wonder that many real estate developers are banking on building for a significant niche market. Home and commercial real estate building in 2014 point to a post-recession recovery. However, are those developing housing for the elderly building too much too soon? Analysts say that a glut in the supply of senior housing is destined to hurt hurt health-care real estate investment trusts (REITs). Bloomberg News reported that the jump in supply is forecast to cut growth in senior-housing net operating income to 1.8 percent in 2015 and 1.4 percent in 2016 from 3.3 percent this year, according to Green Street Advisors Inc. These projections have translated into a 17 percent fall in the Bloomberg health-care REIT index during the last 12 months. Brookdale Senior Living Inc. (BKD:US), is buying competitor Emeritus Corp. (ESC:US) for about $1.4 billion, Green Street Advisors told Bloomberg, making it the biggest owner of senior properties, with 1,161 senior care facilities in 46 states. While the supply of senior care communities is increasing, the over-85 population is projected to increase to just 7 million by 2020. Senior housing won’t be in full swing for a few more years, when the nation’s “oldest old” could number as many as 31 million in 2050, although Jacob Gehl, managing director and founding partner of Blueprint Healthcare Real Estate Advisors, a brokerage and advisory firm in Chicago, told Bloomberg that peak demand is projected to be 15 to 20 years away. It will be interesting to see how these new properties compete by way of staff, amenities, and senior housing costs. It will also be interesting to see if the trend in preferring to age at home with the assistance of quality home care continues. A lot can happen to the senior care landscape in 20 years. Caregiverlist® would love to know about you and your family's projected needs. Where do you see yourself living when you are in need of assistance? Are you hoping your family will care for you? Do you see yourself moving into some sort of assisted living well before you absolutely need it? For senior caregivers and their senior clients, catching a full night of rest can be difficult. Caregiver stress can cause difficulty falling asleep and affect the sleep cycle, so caregivers may wake up after a night of restless sleep and feel just as tired as when they went to bed. The SleepGenius app uses music scientifically created to soothe the brain into its natural sleep cycles and features an alarm clock specifically designed to ease the user out of sleep instead of jar them awake. Falling asleep to music or the calming sounds of nature that some other apps offer can seem soothing, but the sounds in the SleepGenius app are scientifically proven to evoke certain reactions from the user's brain to set them into their natural sleep patterns. The research done for the app originally served to help develop ways for astronauts to fall asleep on trips to space. The basic layout of the app makes it easy to navigate. 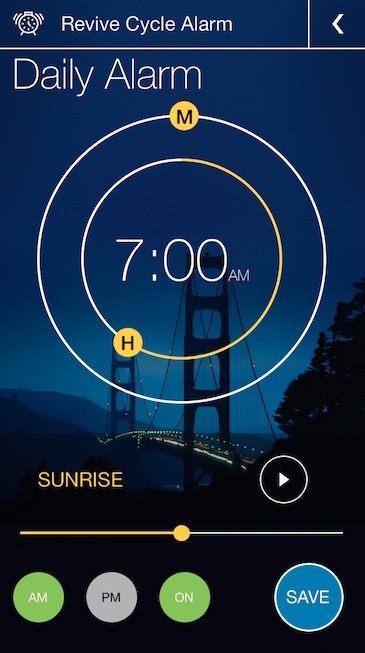 The home screen features two options- sleep and revive cycle alarm. On the sleep screen, users can choose from a 90 or 180 minute program to help them fall asleep and into their first sleep cycles, or the continuous program which plays through the entire night. The paid version of the app also features a power nap option. The revive cycle alarm helps ease the user out of sleep instead of simply playing a loud noise to abruptly wake the user. Another section of the app offers tips for a night of quality sleep. It recommends using the same program night after night so that the user's brain falls into a pattern and consistently gets a good night of sleep. Quality sleep helps relieve some caregiver stress and helps make sure caregivers are ready to face the day fully rested. The SleepGenius app is available for free for Apple and Android platforms.